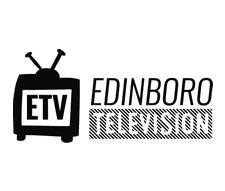 Content to Edinboro Now is provided by Edinboro Campus Media which is comprised of ETV, the Spectator, and WFSE as well as Edinboro University's Department of Journalism and Public Relations. Our primary objectives are to provide enhanced media coverage throughout southern Erie County and to create unique co-curricular learning opportunities for journalism students at Edinboro University. The views expressed are not necessarily the views of Edinboro University. 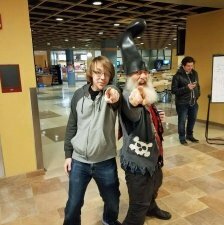 The Spectator is Edinboro University's campus newspaper published weekly by students and advised by Professor Chris Lantinen. The Spectator started in 1935, but was not the first Edinboro student newspaper - the Normal News was printed in 1865. Through the years, The Spectator has been given opportunities to cover famous people such as poet Robert Frost in 1940 and President William Howard Taft in 1912. Hannah McDonald is a Journalism/Digital Media Production major. 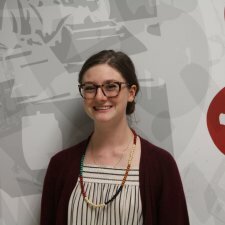 She has held multiple positions on The Spectator staff at Edinboro University including copy editor and voices editor. During this time, she regularly wrote pieces for Voices, Arts and Entertainment and News. Currently, McDonald is the news editor for The Spectator. When not working on projects related to the paper, she enjoys skiing, hiking, traveling and listening to music. A goal of McDonald’s is to get a regular news podcast for Edinboro University up and running. In the future, McDonald hopes to attend graduate school to continue her education in journalism. A dream job for McDonald would be hosting a podcast for WNYC Studios, writing for The New York Times or The Washington Post. Chris Rosato Jr. is a senior Journalism and Public Relations major who recently moved across the country from Southern California. He is the Sports Editor of The Spectator who hopes to show up on WFSE or ETV in the future. He loves baseball and curling and lives in Erie with his fiancé and their Scottish terrier. Livia Homerski is an English Writing major at EU and the Arts Editor for The Spectator. Raised in a family of artists and musicians, Livia is no stranger to the limitless conversation and empowering self-expression that art provides. 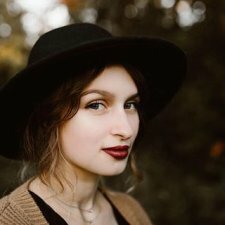 When she’s not writing, you can find Livia playing and grooving to music, spending time with loved ones, or learning about something unusual, such as raising insects. In the future, Livia hopes to make a livable wage from sharing her passion for art and music, whether it be other people’s or her own. 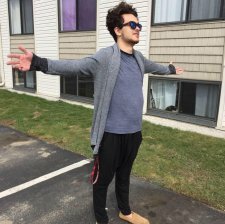 Roman Sabella is a senior Journalism/PR major at Edinboro University who is minoring in Creative Writing and is currently the Social Media Director. He is a member of Phi Kappa Psi and Alpha Phi Omega in addition to writing and editing for the Spectator, keeping him constantly on the move. His dream job would be to write for a major publication such as The Washington Post, Politico, or The New Yorker, as well as publishing some of his fiction pieces in the future, including novels, short stories, and poetry. 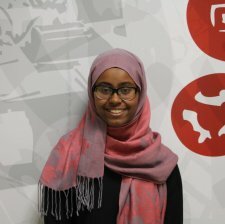 Shayma Musa is a dual major in Biology and Journalism. She is the Voices Editor. In the future she hopes to intersect her love of science and Journalism as a medical journalist for a scientific publication. In her free time she enjoys reading, writing fiction, and watching period dramas. 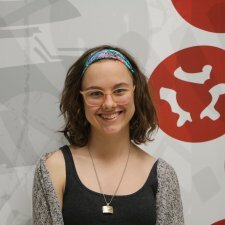 Britton is a graduate student in the MACS program with experience in everything from art to computer science. Originally hailing from the Philadelphia area, Britton aims to lead EdinboroNow and campus media to new horizons through innovative methods and highlighting the talent and beauty of the Edinboro Community. 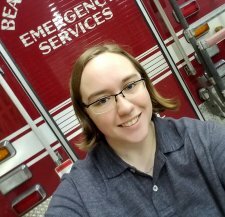 Kelly Staschak is a senior Criminal Justice major at Edinboro University. She is the main editor of photography and oversees all photography content in the Spectator. The Edinboro News Network was founded in 1991 under the leadership of Dr. Bob Wallace, for whom the current television studio in Compton Hall is named. The organization's name was later changed to ETV to reflect additional programming other than news. Today, ETV produces a variety of programming ranging from live sports coverage to the recording of commencement and other university events. Branden Montgomery is the General Manager of the campus media television station. He is a senior dual majoring in Journalism and Digital Media Production at Edinboro University. 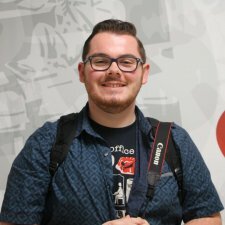 Throughout college he hopes to continue producing entertainment content for campus media. He is also a worker in the SGA Game room/C-store. 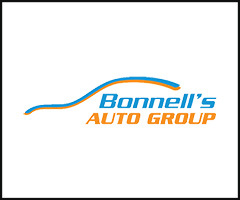 After college, he is interested in working with broadcasting or producing live events. Edinboro radio station, WJKB, was initially housed in Centennial Hall in 1964, and presented through a closed circuit using telephone lines. In 1970, the station switched to airing over cable TV locally. In 1978, the station obtained an FCC license to broadcast over the air. Now known as 88.9 WFSE - Fighting Scots Radio, the station plays a variety of the best rock and alternative/indie music of all time, with specialty shows featured throughout the week. WFSE provides live coverage of Fighting Scots athletics, streams 24/7, and serves the campus and community with local news and pertinent information. You can find their FCC public file, here. Natalie Wiepert is a graduate student in the MACS program, graduating with a bachelors in Journalism, minoring in criminal justice. Natalie is the General Manager of WFSE Radio and oversees all on-air content for the radio station. Natalie hosts Subverse on WFSE Monday nights 5-6 p.m., with her co-host Britton Rozzelle. Natalie and Britton also co-host a weekly music entertainment podcast called Were You Even Listening? Madi Gross is a dual major in Journalism and Sports and Recreation Administration. She has worked with all three mediums for campus media since she was a a freshman here at Edinboro. She enjoys writing for the sports and music sections of the Spectator and calling sports on WFSE. 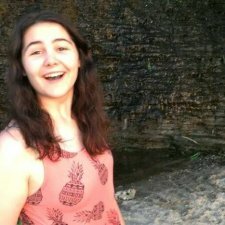 Sarah Cacchione is a senior Journalism/Digital Media Production major at Edinboro University. She enjoys working in radio and writing for The Spectator. Nathan Brennan is a sophomore Journalism/PR major at Edinboro University. 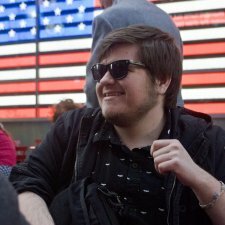 Nathan hosts a weekly radio show, Random Hour, every Wednesday at 4 p.m. and is also a staff writer for The Spectator. Dr. Ron Raymond has more than 30 years of experience in the radio industry, working on air and as a manager for stations in Florida and Pennsylvania, most recently as general manager of WCTL-FM and CEO for the parent nonprofit corporation. 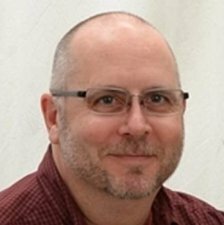 He serves as faculty advisor to WFSE-FM, Edinboro University’s campus station, and as business manager for all three of the university’s campus media organizations. His primary teaching responsibilities include Audio Production and Beginning Reporting, as well as courses in announcing and station management, sales and promotion. 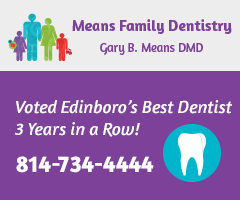 Dr. Raymond holds a bachelor’s and master’s degree from Edinboro University and a doctorate from Indiana University of Pennsylvania. 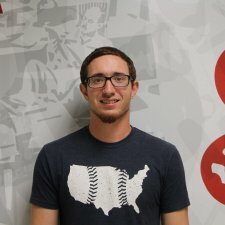 He also serves as the department’s Internship Coordinator. Professor Chris Lantinen has worked as a newspaper reporter and editor at the Titusville (PA) Herald and owns and operates Modern Vinyl, a music blog that has been cited in national publications such as Rolling Stone and Entertainment Weekly. 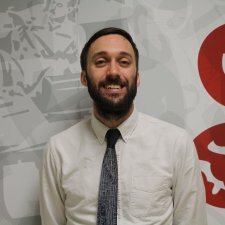 He serves as faculty advisor to The Spectator, Edinboro University’s weekly campus newspaper, and teaches courses such as Digital Media Design and Intermediate Reporting. Professor Lantinen holds a bachelor’s and master’s degree from Edinboro University. Contact Edinboro Now for more information.